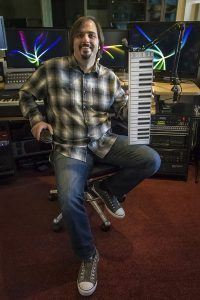 DJ KiNK Uses Xkey Keyboard In His Shows. DJ KiNK and Xkey in Ibiza. See him on YouTube. ‘Kink is King’. That’s one of the reviews for Bulgaria’s Strahil Velchev on his Ibiza YouTube video. How to describe him? He’s a house / techno / broken beat / experimental producer and dj, based in Sofia, Bulgaria. And as KiNK says in his video (link below), he likes to travel light, taking his show to underground dance venues as hand luggage. Which makes Xkey his perfect keyboard. 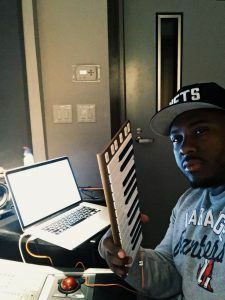 As a talented producer, musician and performer who does a lot more than just spin the latest tracks, KiNK’s repertoire includes house, techno, hip-hop, funk and downtempo music. KiNK is no stranger to the underground house scene since his first appearance on vinyl in 2005 on the UK based label Odori: His acid-house track “Same Old Thing” was noticed by DJs like David Duriez and Laurent Garnier, the track was re-released on the French imprint RZ later in 2006. KiNK`s remix of Eviljack from the same vinyl appeared at the Essential mix of Francois K. and numerous dj sets. His tracks and remixes could be found on 10 vinyl releases so far and few digital ones, he produced music for labels such as Odori, Rush Hour, RZ, Rebelone, Endless Flight, Boe, Spatula City, and more. KiNK worked with different artists like the producer / label boss from Berlin – Stefan Goldmann (under the name “Vinyl”) and the UK based producer Neville Watson. KiNK`s record with Neville did an impact on the underground dance music scene in the middle of 2008, the collaboration track “Inside Out” appeared at Josh Wink`s top 10 chart under #2, it was heard at Glastonbury, played by Hercules & Love Affair and it landed at Steve Bug`s prestigious “Bugnology vol. 3” mix compilation, released on Pokerflat later in 2008. Steve Bug says at Beatport interview the b-side of “Inside Out” – KiNK`s “traffic” tune is his ultimate bassline weapon and “it rocks every place from a small club to a big festival floor”. KiNK`s most recent release – “Get Nervous” vinyl, on Boe recordings (UK) had a great reactions from many djs, such as Jimpster, Jeff Samuel, Hipp-e, Luke Solomon and it entered the TOP TUNE section in IDJ magazine with 5 / 5 points. Other artists, supporting further KiNK tracks are: DJ Sneak, DJ Rolando, Osunlade, James Ruskin, Ken Ishii, Llorca, Funk D’Void, Terrence Dixon, Samuel L Session, Paul Woolford, Chris Duckenfield, Crookers and more. Find out more about KiNK. PreviousPrevious post:MIDI Meets Bluetooth. Xkey Air is on Indiegogo. 200% crowdfund target hit in just 6 hours!NextNext post:What Pro Musicians Say About Mobile Composition Music Apps. What Pro Musicians Say About Mobile Composition Music Apps. How Pro Musicians Use Xkey. Jordan Rudess.